These refreshingly inexpensive astronomical binoculars will gobble up photons from night-sky objects without eating through your wallet. With big 70mm objective lenses and 15-power magnification, our new Orion 15×70 Astro-Binocular is a superb choice for those searching for bright, high-power views of the night sky. See the moons of Jupiter, craters and mountains of the Moon, and hundreds of deep sky objects from dark skies. 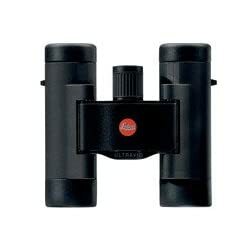 These big binoculars are also great for chasing open star clusters, even from lower than inky-black urban skies. Light transmission throughout the 15×70 Astro-Binocular and view contrast is optimized by virtue of top of the range BAK-4 prisms, fully multi-coated optics, and internal baffling. Eyeglass wearers can benefit from the view through these inexpensive performers without casting off their corrective lenses, thanks to a luxurious 18mm eye relief. Foldable eyeguards provide helpful protection from distracting peripheral light sources, and so they conveniently fold down for comfortable use with eyeglasses.